Instrumental band based in Amsterdam led by keyboardist & composer Felix Back. Hoera!! Son Swagga - New Album Son Swagga is geslaagd! Dankzij 44 donaties die samen € 5.275 opleverden voor Son Swagga. In May 2018 we will record eight new songs for what will become Son Swaggas second album in our quest for a new kind of instrumental music. After releasing our debut album 'Fires of Quidel' in 2017 Son Swagga is ready to record their second album. With your help we can write the next chapter in the Son Swagga story and bring to life eight new songs recorded all analog and with a lot of passion. Our budget will go towards recording, mixing & mastering the album and also printing vinyl and creating artwork. Na het uitbrengen van het debuutalbum 'Fires of Quidel' in 2017 is Son Swagga klaar om hun tweede album op te nemen. Met jouw hulp kunnen we het volgende hoofdstuk in het verhaal van Son Swagga schrijven en acht nieuwe nummers uitbrengen die allemaal analoog en met veel passie in mei worden opgenomen. Het budget gaat naar het opnemen, mixen en masteren van het album en ook het printen van vinyl en het maken van artwork. Son Swagga live at Sexyland. Photo by Chidi Onwuka. 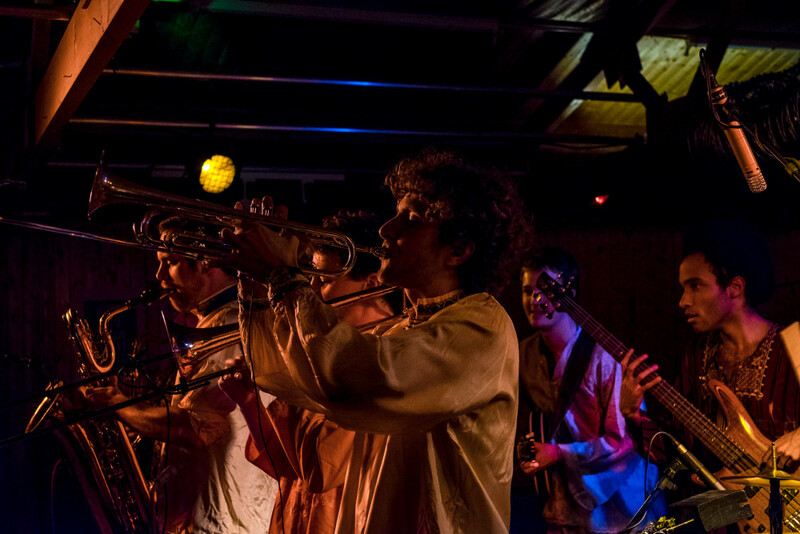 Son Swagga is a psychedelic fusion band based in Amsterdam. With their music they bring a new breed of instrumental music to the world. Son Swagga is the band you can never put your finger on. With every song they seek new uncharted territories in music as well as improvisations that push the boundaries of their musicianship and their interaction with each other. Their music is composed by bandleader Felix Back whom draws upon his repertoire of funk fusion, spiritual jazz & videogame music to create a sound that has never been heard before. Rinus Groeneveld holding the original tapes. Photo by Jurian Vermoolen. In 2016 we went into the studio of our friend Rinus Groeneveld to record our debut album. The studio is equipped with all analog gear. This way of recording comes with a few challenges but it gives us the raw, warm sound our music needs. The days we spent in the studio showed us how much hard work it takes to record an album but through this experience we became closer as friends and bandmembers. We also got to know Sonny Groeneveld who engineered and mixed the album. Mastering was done by Wouter Brandenburg who used his knowledge of sound to make the album sound fat and warm. The artwork was done by Nikki Nordmann whose sense of colour and collage techniques come together to create his unique style. With us in the studio was also Jurian Vermoolen capturing the process on video. One of the main ideas of Son Swagga is to build a solid unit of people working together, and that's why we will be working with the same people on our new album. 'Fires of Quidel' was released in May 2017 at Sugarfactory in Amsterdam. You can see a video from the releaseshow here. 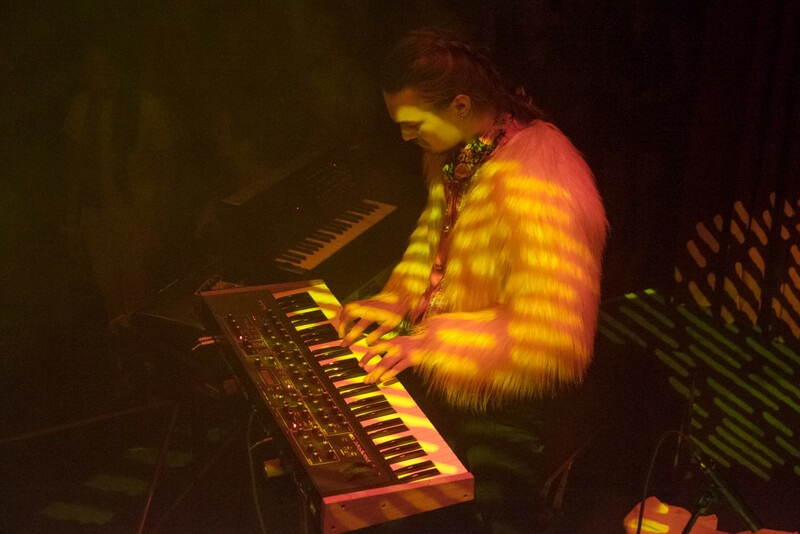 Felix playing synthesizer at the albumrelease. Photo by Chidi Onwuka. If you want to help us make this album there are a few things you can do! On the right side of this page you can find different options, for example preordering the new album or even a full Son Swagga concert! An other way you can help out is to share this campaign with your friends and family! Follow us on Facebook, Instagram & Youtube to keep track of the campaign and to see some photos and videos of our journey towards our new album! Son Swagga is een psychedelische fusionband, gevestigd in Amsterdam. Met hun muziek brengen ze een nieuwe vorm van instrumentale muziek op de wereld. Son Swagga is een band waar je je vinger niet op kunt leggen. In elk nummer zoeken ze naar nieuwe gebieden die nog nooit op de kaart zijn gebracht, en maken ze tegelijkertijd improvisaties die zowel op individueel- als op interactief gebied de muzikanten hun grenzen laat opzoeken. De muziek wordt gecomponeerd door bandleider Felix Back, die een repertoire samenstelt van funk fusion, tot spirituele jazz en videogame muziek, wat zorgt voor een creatie van muziek die nog nooit eerder is gehoord. Help ons! Als je ons wilt helpen om dit album te maken zijn er een paar dingen die je kunt doen! Aan de rechterkant van deze pagina kan je verschillende tegenprestaties vinden, bijvoorbeeld het nieuwe album of zelfs een volledig Son Swagga concert! Je kan ook op een andere manier helpen door de campagne te delen met je vrienden en familie! Volg ons op Facebook, Instagram en Youtube om op de hoogte te blijven van de voortgang van de campagne en ons nieuwe album! We are happy to announce that our campaign was a success! A special thanks to everyone who donated! Our campaign is now at around 20%. 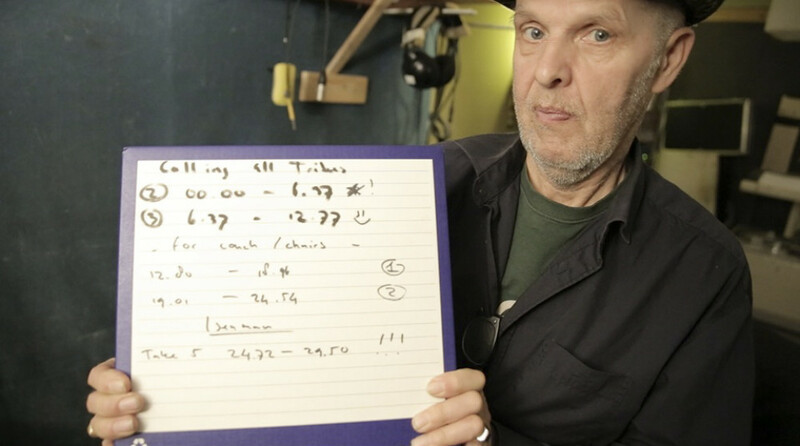 Here is a short video message from bandleader Felix. Door dit project te steunen wil ik nog meer passie, professionaliteit en plezier in de muziek helpen mogelijk maken!! Digital download code for the new album when it's released. Signed, sealed & delivered A3 Son Swagga poster. Signed vinyl. Our debut album from 2017 'Fires of Quidel'. Includes digital download code. Exclusive deal! Our debut album from 2017 'Fires of Quidel' and a A3 poster. Both signed by all the bandmembers. Our new album on vinyl, signed by all bandmembers. Includes digital download code. Give us a keyword or style and Felix will make a keyboard improvisation video and upload it to Facebook with your name on it! Our new album on vinyl with digital download code + a ticket for you and one of your friends for the album releaseshow! Private piano/keyboard lesson with Felix or lesson with bandmember of your choice. Bring your instrument and come jam with the whole band in our secret studio in Amsterdam! Private solo piano concert by Felix at your home. Preferable if you have a acoustic piano, otherwise if you have some speakers Felix can bring his keyboard. Semi-acoustic concert by some of the members of Son Swagga. Note for the sound level that this concert will include drums. Son Swagga live concert at your venue. Venue needs to have PA and backline.